Domestic violence is not just physical assault, but the emotional and sexual abuse of women by their intimate partners and family members. In India, there are other forms of violence, such as dowry harassment and violating women’s rights to inheritance, which are linked to traditional or customary practices. Majority of the cases that come to the Special Cells set up within police stations throughout Maharashtra and elsewhere in the country are of physical and mental abuse by the husband (57% and 61% respectively). As many as 38% of women complain of financial harassment and 15% report sexual abuse from husbands. The Tata Institute of Social Sciences – a Deemed University and Asia’s premiere School of Social Work – initiated the Special Cells for Women approach 35 years ago, joining hands with the Maharashtra Police and women’s movements, to place social workers in police stations in Mumbai city. This innovative intervention model has since then been expanded to more than 400 such units embedded in the police systems of 14 States and one Union Territory today. TISS-implemented Cells in eight districts have provided services to over 75,000 women who have approached the Cells in Maharashtra alone during 1984-2018. 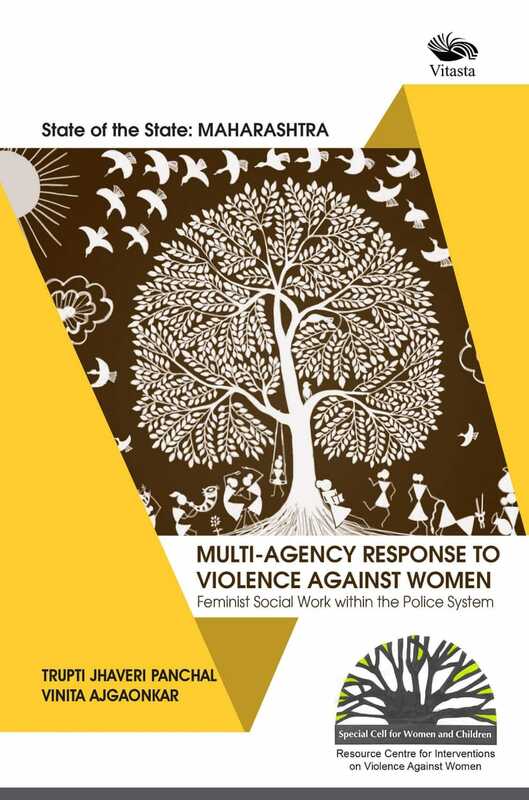 This commemorative edition, by the Resource Centre for Interventions on Violence Against Women, showcases the multi-agency coordinated response with survivor-centric social work in the country, by the Special Cells for Women. "Trupti Jhaveri Panchal is Assistant Professor in the School of Social Work at Tata Institute of Social Sciences, Mumbai. She leads the Resource Centre for Interventions on Violence Against Women & Special Cell for Women & Children to curate intervention models. Vinita Ajgaonkar has a Master’s degree from TISS and has worked in the RCI-VAW for five years. At present she is a Senior Research Consultant with SNEHA, Mumbai."